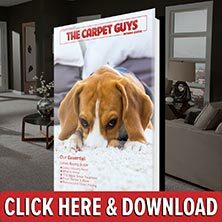 By scheduling a free estimate with The Carpet Guys, finding cheap carpet for sale is simple and quick. With over thirty years of experience in the flooring industry, we make carpet installation stress free and enjoyable. The best carpet installers in Romeo work for us, and they are ready to renovate your floors today. Depending on who you work with, getting new carpet installed may seem a little difficult. As the best place to buy carpet, we strive to provide our customers with expert service and top quality products. We buy our flooring directly from the top leading manufacturers in the industry and we guarantee your satisfaction. Don’t waste your time with some fly by night carpet company. Book your free estimate with The Carpet Guys and get your floors professionally renovated today. Plush Carpet is a great pick for those who love a formal look or simply like to lounge around on the floor. With a rich velvet-like feel, Plush is sure to bring out the sophistication of your home. Frieze Carpet provides any room with a casual feel and a hint of personality. We guarantee that you will love the flair that our Frieze has to offer. Berber Carpet comes in cozy earth tones and provides a durability that many other styles cannot. The darker colors hide dirt easily and it is built to last throughout the years. Looped Carpet adds some extra interest underfoot with its multi-leveled loop make up. It comes in many popular colors and patterns, making it a staple in many homes today. To get your new carpet installed the right way, be wise and call The Carpet Guys today. Book your free estimate and watch the savings roll in.